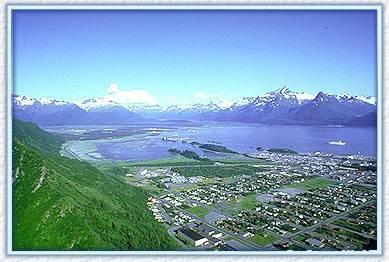 Comfortable accommodations and lodging for visitors in Valdez Alaska. Clean and affordable rooms close to all area attractions and activities. Your hosts, Glen and Sharon Mills, are long time Alaskan residents. The owners and staff work hard to ensure that your stay at the hotel is a high point on your trip to Valdez. At the bed and breakfast, there is information about all area services including restaurants, shopping, and travel information for the surrounding areas. Feel free to ask our staff any questions. We offer a great continental breakfast to all of our patrons. This meal is taken at your leisure – Our continental breakfast includes: Fresh Fruit and Juices, Great Variety of Muffins, Rolls and Breads, Assorted Cereals, and Fresh Coffee, Hot Chocolate and Teas. 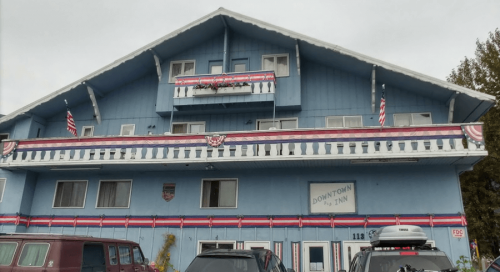 Our hotel is one block from the small Boat Harbor which makes us the perfect location for visitors departing on day trips for fishing, sightseeing and the Alaska Ferry system.